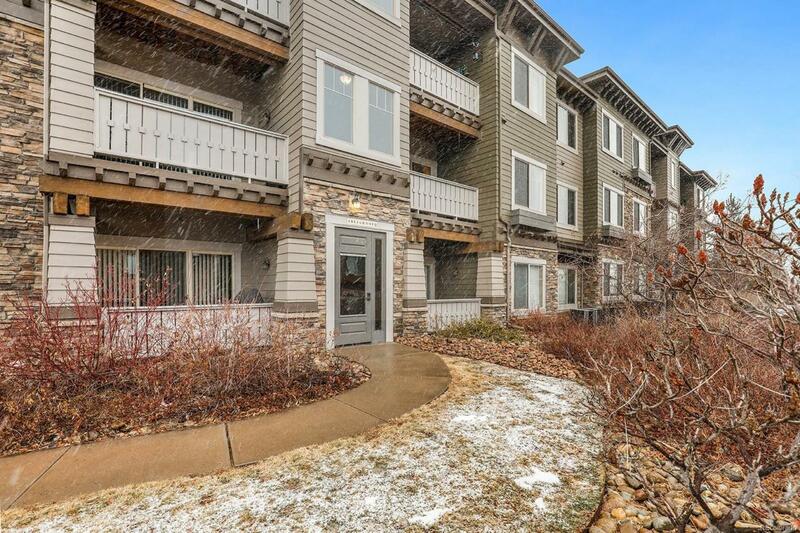 Lovingly maintained meets outstanding Stonegate location in this roomy condo designed with your every lifestyle detail in mind featuring secure enclosed entry to the unit. Immediately upon entering you are greeted by the open style concept with the kitchen, dining, and living rooms flowing together nicely accessing the private balcony overlooking a community open space and walking trail. The spacious kitchen boasts center island with breakfast bar and tons of cabinetry with eat-in style dining area situated perfectly for gatherings and entertaining. The fresh living room is adorned with cozy gas fireplace perfect for Colorado's Winter nights. You'll love the vast master suite featuring plenty of space and tranquil private bath topped off with a massive walk-in closet. Sizable secondary bed and full bath nearby for one floor living at its finest. Rare attached garage and minutes to E-470 making any commute a breeze from this quiet Parker community.